Project Animus Update #1 Multiplayer DLC:To survive the treacherous, narrow roads and the multi-leveled architecture of the Mont Saint-Michel map and the challenging Advanced Alliance multiplayer mode, Abstero recruits will need to use free-running and refined hunting skills to their advantage. Project Animus Update #2 Multiplayer DLC:The Pienza Map provides the perfect free-running playground where predators and targets can blend and disappear. 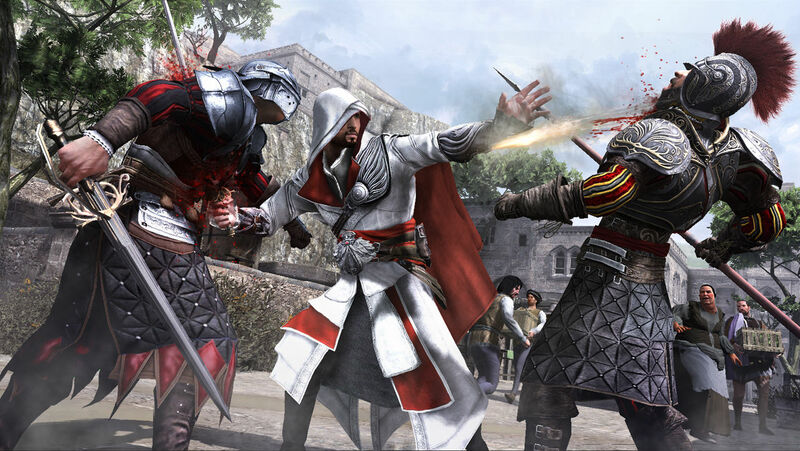 In the Chest Capture Multiplayer Mode two teams comprised of three players each partner with fellow Templars to either defend or capture Chests. Also included is the new Templar Score feature to reward diligent work by Abstergo recruits. The Da Vinci Disappearance Single-Player and Multiplayer DLC:After the fall of the Borgias, Leonardo Da Vinci is kidnapped and Ezio will embark on a relentless quest to recover him discovering new locations and gameplay features. The multiplayer addition is the biggest expansion to the award-winning multiplayer yet, including a new map, new characters and game modes. Next story GitFTP-Deploy 2.7.1 – Simple FTP-deployments for your smaller projects. Shadow Blade 1.1 – is the upcoming fast-paced ninja platforming game for mac.